Q-WEST, Iraq — “We could not bring you home for Christmas, so we decided to bring a little bit of home to you,” Marine Corps Gen. Joe Dunford said yesterday on Christmas to service members at Q-West, a military base near Mosul. The American people – through the USO – sponsored a holiday tour that started Dec. 20 and runs through Dec. 26. The idea was to reach out to as many service members as possible during the tour, to include many remote areas as well. The USO put together a group of entertainers with the desire and drive to make the trip overseas during the holidays. All of them had made USO tours in the past, and all made the sacrifice of missing their own holidays with family to put on 11 shows on two continents for the troops. The impact of the USO tour is best explained in a series of anecdotes. 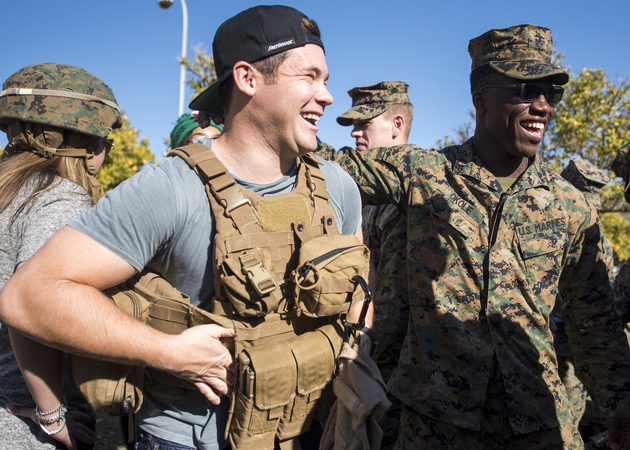 Comedian and actor Adam Devine meets with Marines assigned to Special Purpose Marine Air-Ground Task Force – Crisis Response – Africa as part of a troop engagement during the Chairman’s USO Holiday Tour at Morón Air Base Dec. 21. Country music artist Jerrod Niemann performs during Chairman’s USO Holiday Tour at Morón Air Base, Spain, Dec. 21. 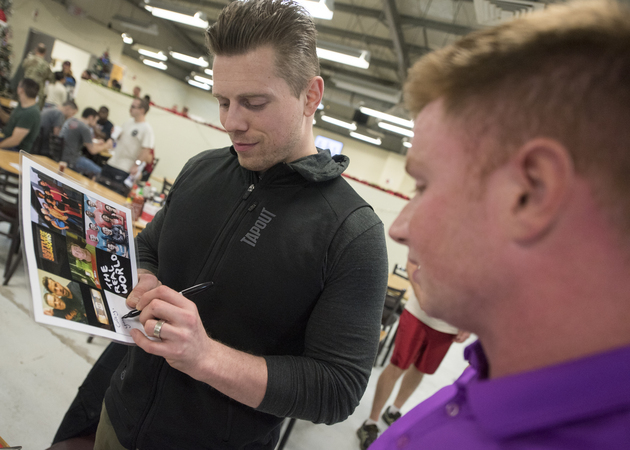 WWE Superstar The Miz signs an autograph for a service member at the base dining facility during the Chairman’s USO Holiday Tour at Al Dhafra Air Base Dec. 22. 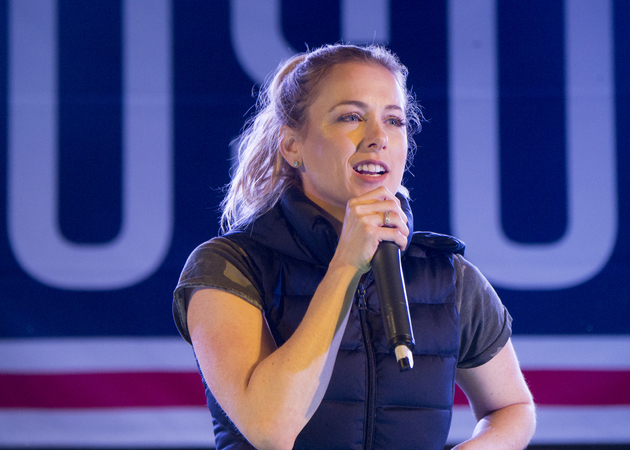 Comedian Iliza Shlesinger performs during Chairman’s USO Holiday Tour at Morón Air Base, Spain, Dec. 21. 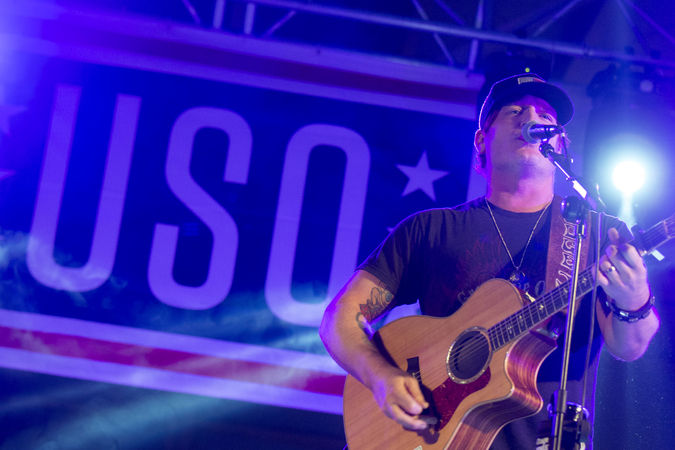 Country music artist Jerrod Niemann performs for service members during the USO Holiday Tour at Taji Military Complex, Iraq, Dec. 25. 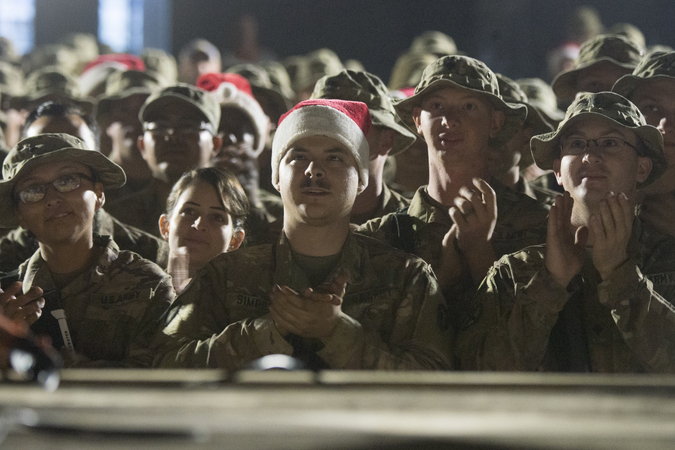 Soldiers from the 3rd and 4th Brigade, 10th Mountain Division, watch the USO Holiday Tour at Q-West, Iraq, on Christmas Day. Medal of Honor recipient, retired Army Capt. 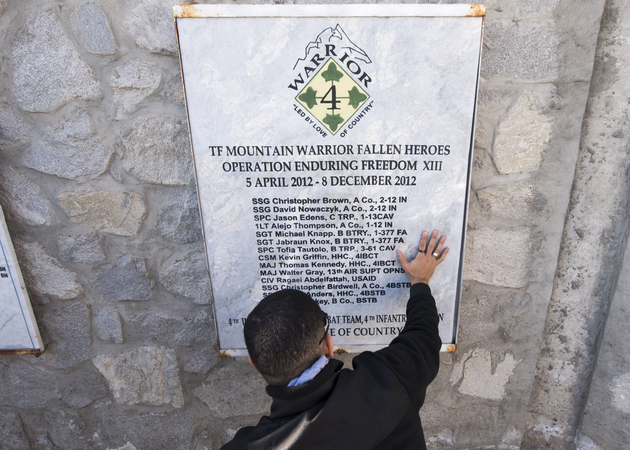 Florent Groberg pays tribute to those who were killed in action at a memorial while visiting Operating Base Fenty, Afghanistan. 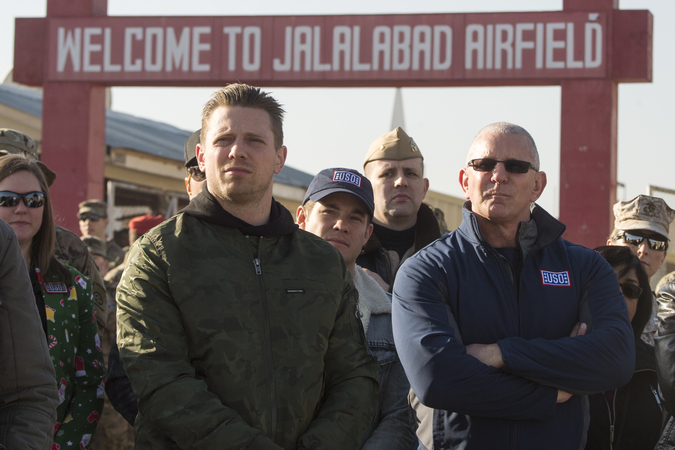 WWE Superstar “The Miz,” Chef Robert Irvine and comedian Adam Devine arrive at Operating Base Fenty, Afghanistan, Dec. 24. 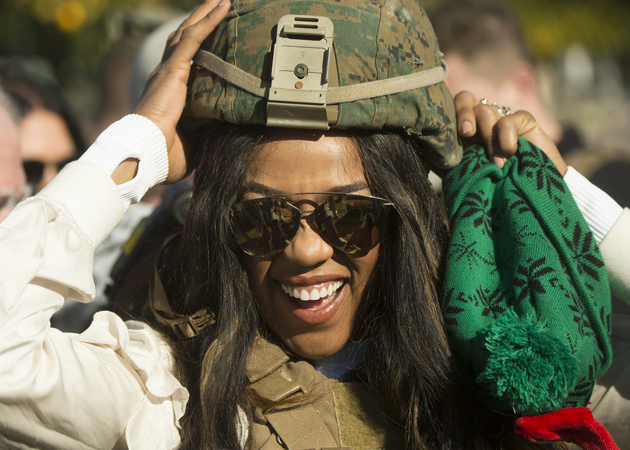 WWE Superstar Alicia Fox meets with Marines assigned to Special Purpose Marine Air-Ground Task Force – Crisis Response – Africa as part of a troop engagement during the Chairman’s USO Holiday Tour at Morón Air Base, Spain, Dec. 21. 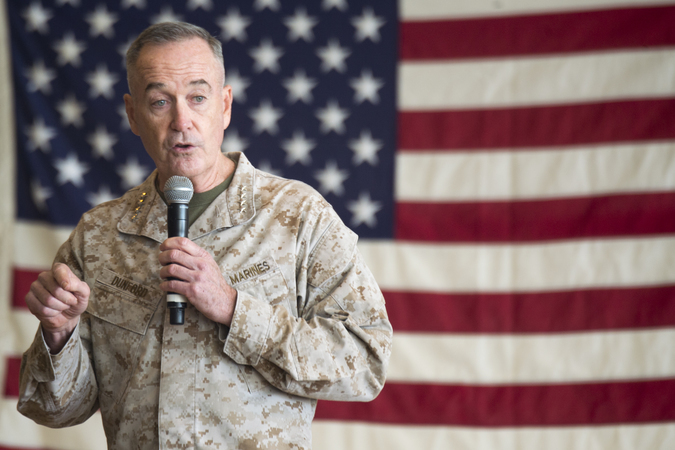 Marine Corps Gen. Joe Dunford, chairman of the Joint Chiefs of Staff, speaks to service members before the USO Holiday Tour at Operating Base Fenty, Afghanistan, Dec. 24. 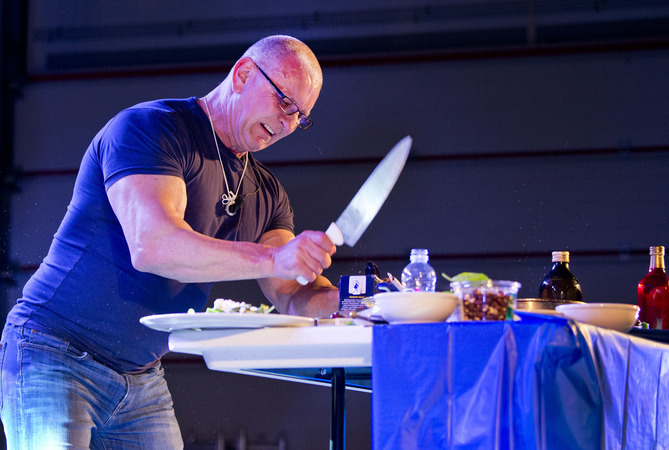 Chef and TV host Robert Irvine hosts a cooking demonstration during during the USO Holiday Tour at Al Dhafra Air Base. 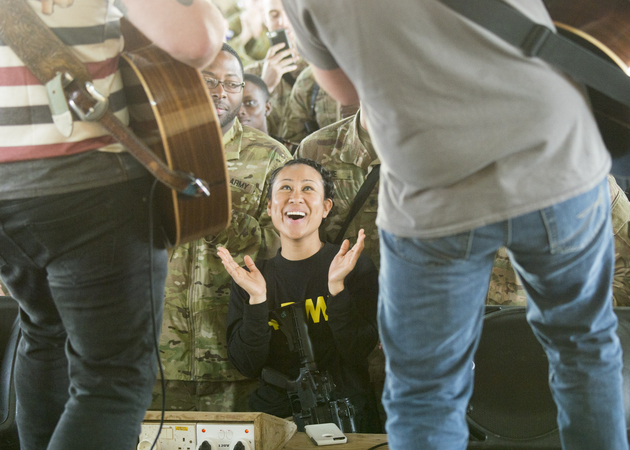 Chef Robert Irvine and his wife, Gail Kim, watch country music artist Jerrod Niemann perform during Chairman’s USO Holiday Tour at Morón Air Base Dec. 21. WWE wrestling is big in the military. The sailors on the hangar deck of the Roosevelt chanted “USA, USA, USA” when professional wrestlers The Miz and Alicia Fox took the stage. The standing ovation for Jerrod Niemann’s new song, “(That’s Why They Call It) Old Glory” at Bagram Air Base. At each base, Dunford and Army Command Sgt. Maj. John Wayne Troxell, the chairman’s senior enlisted adviser, got a chance to talk with service members at every level. The conversations were involved and covered a range of issues. It was an invaluable first-hand look at the morale of service members at the pointy end of the spear.